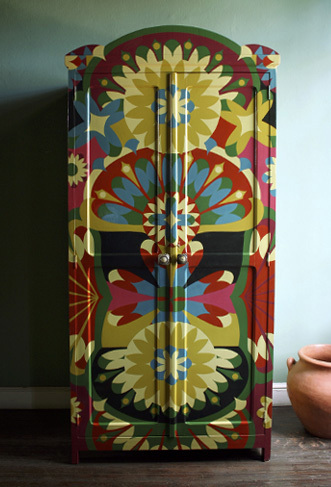 Painted cabinet by Sansparapluie. Visit their website for some absolutely stunning work. Hi, this is Isabella, thank you for posting this wonderful image, I just had to share it! Have a look : http://anarkali-zakuro.blogspot.com/2011/08/graphic-art-goes-ethnic-sansparapluie.html.